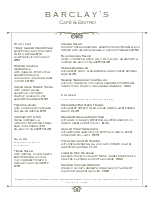 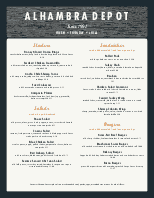 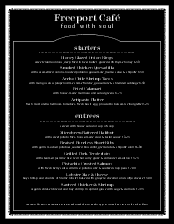 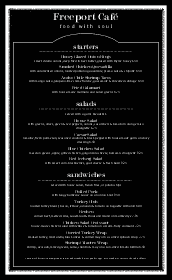 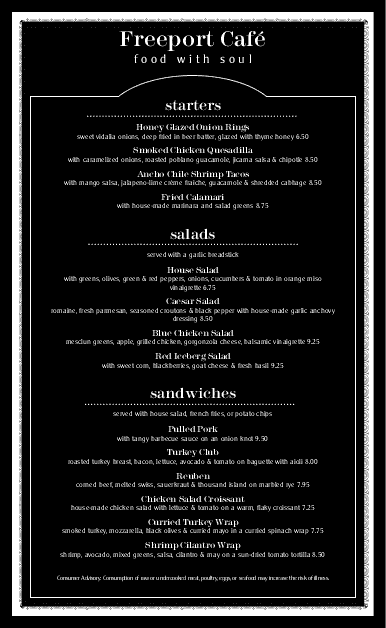 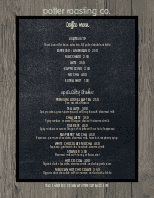 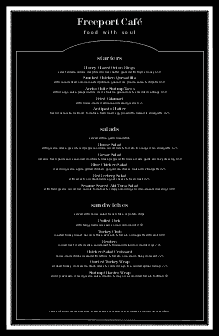 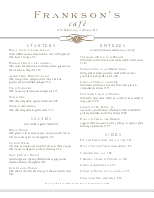 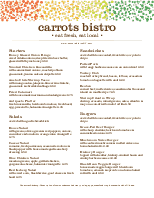 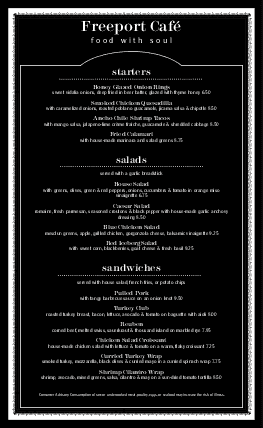 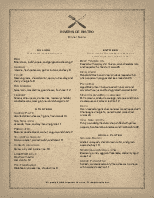 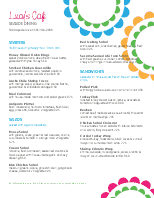 The Blackboard Cafe Menu template can be customized for a bistro or deli. 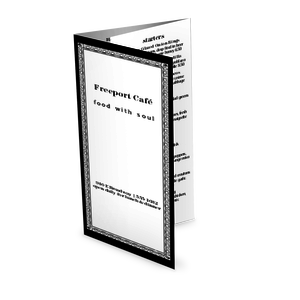 A bold black background is offset with white frames, white headers and dotted accents. 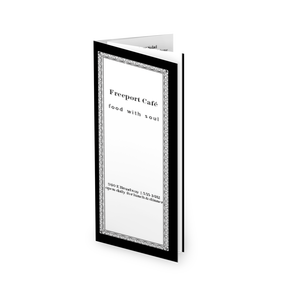 A narrow border frames the edge of the design for visual interest. 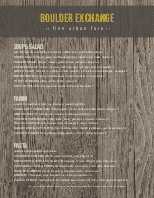 Customize this legal-size template with your sandwiches, soups, entrees and more.